2017 LEGO Star Wars Advent Calendar Day 24! December 24, 2017 | Categories: LEGO | Tags: bb-8, droids, LEGO, star wars The Force Awakens | Comments Off on 2017 LEGO Star Wars Advent Calendar Day 24! 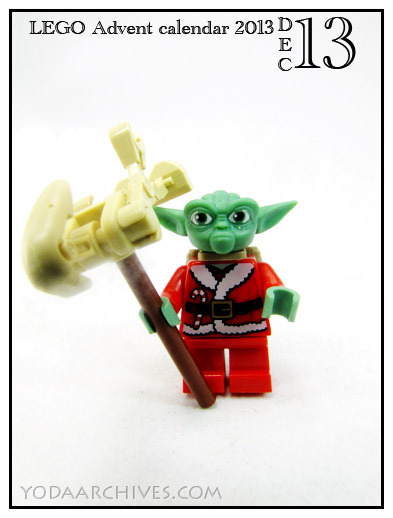 2017 LEGO Star Wars Advent Calendar Day 10 Bonus! Don’t try to steal BB-8! December 10, 2017 | Categories: Action Figures, LEGO, Photography | Tags: bb-8, black series, droids, LEGO | Comments Off on 2017 LEGO Star Wars Advent Calendar Day 10 Bonus! 2016 LEGO Star Wars Advent Calendar Day 18! December 18, 2016 | Categories: LEGO, Photography, Star Wars, Yoda | Tags: comics, droids, humor, jabba the hut, star wars advent, web comics | Comments Off on 2016 LEGO Star Wars Advent Calendar Day 18! December 17, 2016 | Categories: LEGO, Photography, Star Wars, Yoda | Tags: comics, droids, gonk, humor, star wars advent, web comics | Comments Off on 2016 LEGO Star Wars Advent Calendar Day 17! 2016 LEGO Star Wars Advent Calendar Day 16! December 16, 2016 | Categories: LEGO, Photography, Star Wars, Yoda | Tags: comics, droids, humor, star wars advent, web comics | Comments Off on 2016 LEGO Star Wars Advent Calendar Day 16! 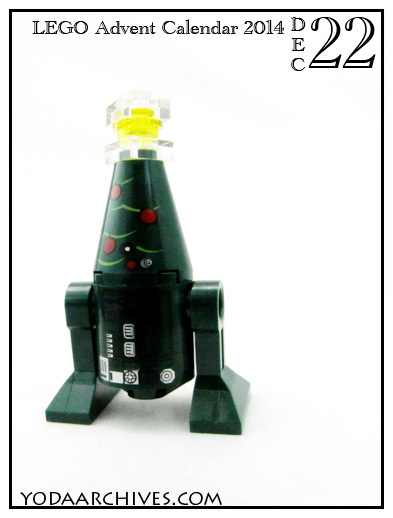 Today’s Advent gift is another Battle Droid. Like I said last year if they are going to use the calendar for army building use Stormtroopers, or since it winter themed Snowtroopers and Hoth based rebels. I’m guessing just like in the movies battle droids are cheaper to mass produce. Speaking of Hoth maybe next year Santa Han solo in Hoth gear and Miss Santa Leia. That would be cool. I still want to see Queen Amidala from set #9499 Gungan Sub as a Christmas tree. Friday the 13th was unlucky for this Battle droid.